Kuwaiti artist Mohammed Al-Mansour after receiving the award in Sharjah Theater. 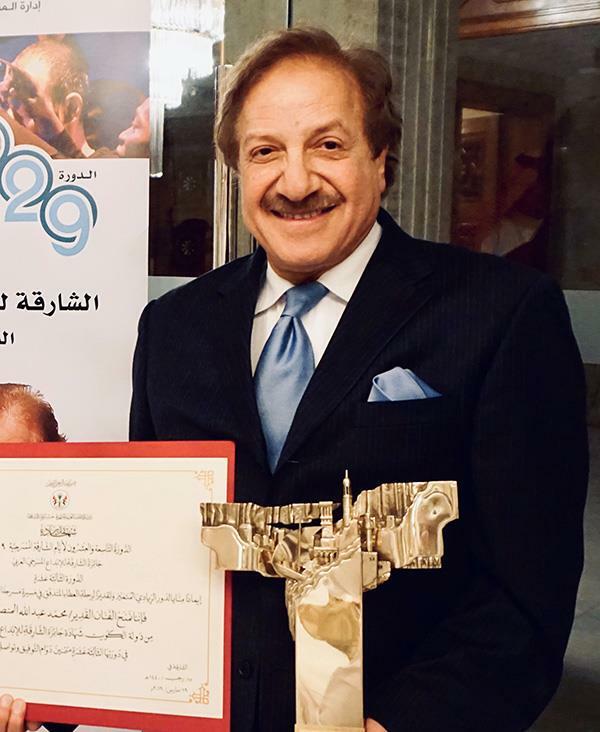 SHARJAH, UAE, March 23, (KUNA): Kuwait veteran actor Mohammad Al-Mansour won Tuesday Sharjah Theater Creativity Award in appreciation of his career which began in 1960s, part of Sharjah Theater Days. 'We as young actors benefit great deal from him and he always encourage us to present what is best,' he told KUNA. He lauded Sheikha Souad's decoration as a recognition of Kuwait's cultural and literary movement.